"Stabilisator, vorne, A-Body ab BJ 73 A 1 1/8"
You'll drive with more confidence, control, and stability thanks to Hellwig Motorsports tubular sway bars. Made from high-strength tubular DOM steel for maximum performance with half the weight, these track-tested, street-proven sway bars are precision-engineered and 100 percent American-made. Larger-than-stock diameters optimize handling and reduce body roll. All bends are computer-controlled and ends are tapered to eliminate stress and radiused for better clearance, a cleaner appearance, and a perfect fit. 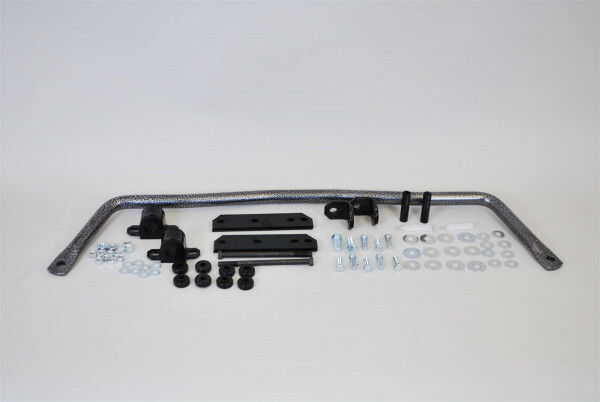 Hellwig rear sway bars feature 3-point adjustability and adjustable end links. Plus, they feature polyurethane bushings, heavy-duty zinc plated hardware, and an attractive powdercoated finish for years of trouble-free service. Add Hellwig Motorsports tubular sway bars and you'll enjoy one of the most effective handling upgrades for your vehicle. .